TO OBTAIN A NSW WATERWAYS GENERAL BOAT LICENCE. A NSW Waterways general Boat Drivers Licence is obtained by completing the boat licence course. Students will practice driving in our vessel on the water, and become familiar with low and high speed maneuvering, general boat handling, man overboard drills, and docking and mooring. 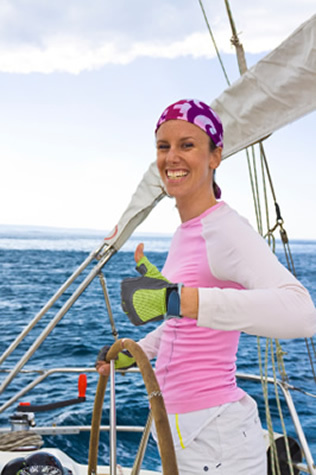 Our instructors are highly motivated and experianced skippers working in the marine industry on a daily basis. Learn from their years of experience. Join us for a day and learn through their experiences. The course for a National Powerboat Licence runs for 1 day. At its conclusion, participants receive a certificate and, when presented to NSW Waterways, a NSW general boat licence will be issued. No further testing is required. It's the safest and best way to obtain your boat licence. Our instructors are commercial mariners, who also hold national training qualifications and work in the marine industry..
By law a person must be 16 years of age to obtain a NSW general Boat Drivers Licence. A young adult licence can be obtained by doing the course if you are 12 â€“ 16 years of age; parental supervision is required. 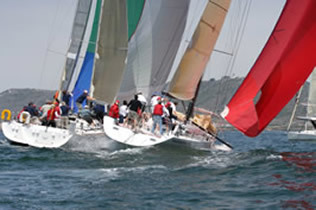 NSW Marine Regulations, Collision Avoidance Rules, Safety Equipment, Duty of Care and how it affects you as Skipper, Navigation & Chart Reading, Compass + GPS, All aspects of Anchoring, Trip Planning, Handling Emergencies, Weather and Tides, Engine and Vessel Maintenance, Marine Radio Usage, Basic Knots. 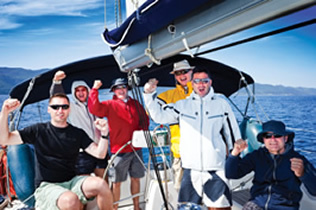 The 1 day course builds boating knowledge, skill and confidence. 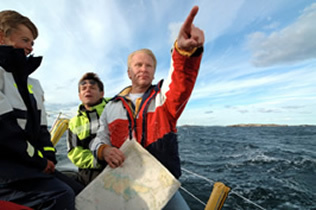 It's ideal for people new to boating, and also for existing boaties who wish to upgrade their navigational skills and knowledge of current regulations. Spend the day with us at one of our training centres, pick up hints and tips on all aspects of boating. Keep all your course material for future reference. The Recognised Prior Learning course is fantastic for those students who prefer to take on the theory element of the course in the privacy of your own home and in your own time. Through the post you will receive all the course materials required to allow you to study with ease. When you feel comfortable with the theory, ring us and book in for your practical on-water assement. Price includes postage, its that easy. Do you already have your licence, but are too nervous to go out in a boat on your own? Do you lack confidence and can't remember what all the bouys look like. 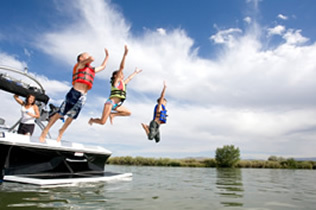 Would you just like to know a little bit more about boat safety and handling. Come along to any of our courses and you can still receive all the knowledge and course material of the boat licence course. Yours to keep for future reference. Groups, schools and club packages exist. Let us come to your club and we will package a course suitable for you. Minimum of 12 students. 1 adult may accompany up to 6 young adults. Private Lessons - $75.00 per hour, minimum 3 hours. Once you have completed you boat licence course you are now free to roam the waters on your own boat. 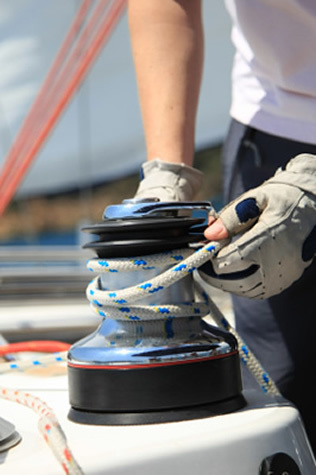 You may not feel quiet so comfortable handling your own boat so let us show you how. Coming into a marina in a 40ft power boat with twin engines is a whole new experiance and we can make that much less stressful. 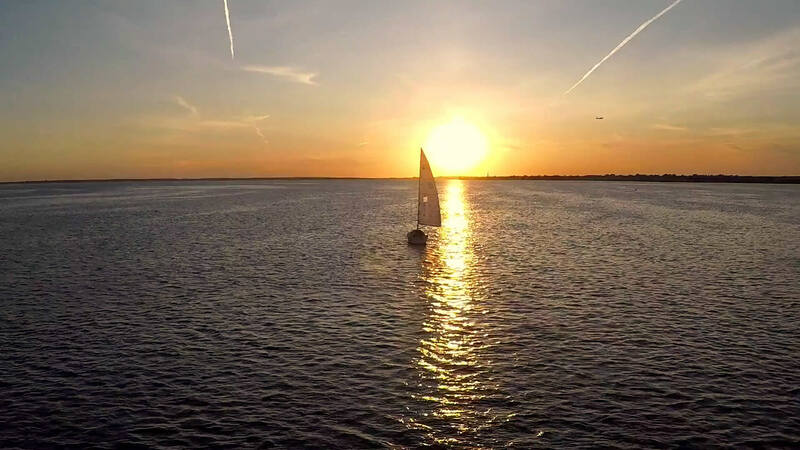 Have you always wanted to go offshore or would like experience in handling your boat in rough water? We can do that too. Ladies, are you nervous of being in control of the boat, the kids and the lunch. We'll pack a picnic, put a lifejacket on the kids and let Sally show you how its done. Get the boys to do the anchoring and pulling on the rope thing. If driving the boat suits you then we can show you how to do it without a divorce or losing one of the kids overboard. "For Safety, Choose a Course"